BRAND NEW Steel Hood for the 66-68 Classic Ford Bronco. This hood includes Hood Hinges. This hood is about 1.60mm thick. 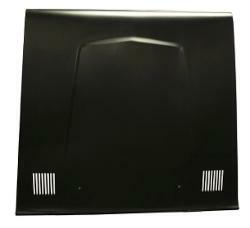 The new steel hoods provide premier strength over the fiberglass hood preventing unwanted bending, flexing or cracking. They are all steel constructed to OEM specs and will bolt to the existing factory hardware. 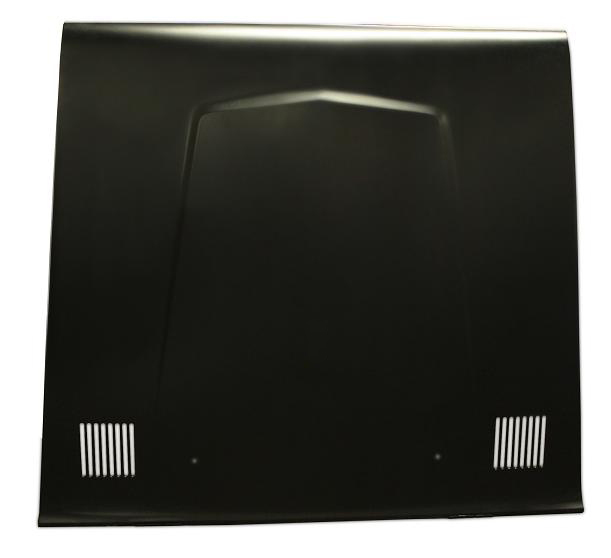 This hood is a direct replica of the 1966-68 Factory Hood. There is a $39 boxing fee for the hood. Hood ships truck freight.